Zhang, X. ; Neglia, G. ; Kurose, J. ; Towsley, D. ; Wang, H.
This entry was posted in Network coding on November 12, 2013 by mortenvp. 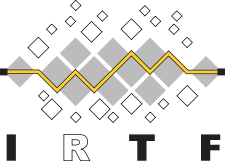 The next IRTF Network Coding Research Group (nwcrg) meeting at IETF 88 in Vancouver is scheduled for this Thursday the 7th of November from 13.00 – 15.00 PST. Unfortunately I am not able to participate in person this time, but this gives me the opportunity to try out the many options for remote participation available at the IETF meetings. There are a bunch of interesting talks on the nwcrg agenda which you can find here. If you are interested in participating remotely there is a bunch of ways, which you can look up here. Personally I will try to join via the Meetecho tool which seems to work out of the box on most setups. The direct link for the nwcrg Meetecho session is here. Update the slides are available here search for nwcrg to find the right ones. Looking forward to the talks. This entry was posted in Colourcast, Network coding on November 6, 2013 by mortenvp. A new version of the Kodo Network Coding library has been released. One of the nice features of the new release is the new structure in the library making it easier to figure out where specific functionality resides. The structure is defined within “API layers”, this is further explained in the Kodo manual. Updated layers to follow new API specifications. This change will break most existing layers. The API specification is available in the doxygen folder. New API for object/file encoders, makes it easier to support custom data sources e.g. such as memory mapped files. Replaced the old generator API with new Coefficient Generator API. Updated the factory APIs to pass the factory to each layer. This simplifies construction in several layers, where previously it was not possible to access the factory. Updated waf to 1.7.9 and enabled use of the wurf_install_path tool. The Kodo source code is available on github. This entry was posted in Colourcast, Network coding on March 31, 2013 by mortenvp. At the latest IEFT (Internet Engineering Task Force) meeting 86 in Orlando Florida I participated in what will hopefully become an established IRTF (Internet Research Task Force) Research Group on Network Coding (nwcrg). The IETF is the organization responsible for many of the standards used on the Internet today (commonly known as RFCs). Where the IETF develops the protocols used on the Internet today, the IRTF on the other hand focuses on more long term research into technology related to the future development of Internet protocols. At the IRTF meeting I presented the Kodo Network Coding library as a tool which could be used by the nwcrg for research on network coding algorithms and development of network coding based systems. You can find my slides here. If you are interested in the development of network coding based protocols and systems, join the mailing list and participate in the discussions. Find more information at the nwcrg homepage. This entry was posted in Colourcast, Network coding on March 11, 2013 by mortenvp.